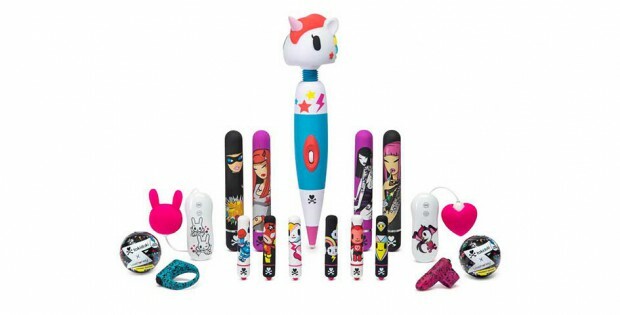 Lovehoney has received a LIMA licensing award nomination for tokidoki X Lovehoney – The Official Pleasure Collection. The UK manufacturer is up against brands such as O.P.I, MAC Cosmetics and Clinique in the Health and Beauty Aids category at the 2017 LIMA Licensing Awards. LIMA, short for The International Licensing Industry Merchandisers’ Association, is a trade organisation for the global licensing industry. Winners will be announced at the LIMA Awards Ceremony will be held during Licensing Expo on Tuesday 23rd May in Las Vegas. The tokidoki x Lovehoney range features a selection of curated characters and icons from the tokidoki universe which have been incorporated into some of Lovehoney’s products. The range features bullet vibrators, classic vibrators, wand vibrators, clitoral vibrators, finger vibrators, love rings and male strokers.